In this article, we profile the 10 best ABA PhD degree programs of 2018. PhD in applied behavior analysis programs prepare students with advanced knowledge and skill to conduct behavioral research and design treatment plans to remedy behavior related problems. Graduates of ABA PhD programs are prepared to take the Board Certified Behavior Analyst (BCBA) certification exam. Once certification is received, individuals may practice ABA. For the purpose of this list, we looked at approximately 25 ABA PhD degree programs. We confirmed accreditation (regional and/or national) and selected those schools that offered accredited programs. We also looked for programs that prepared students to take the Board Certified Behavior Analyst (BCBA) certification examination. Few online ABA programs exist, so we gathered information on both online and on-campus PhD in ABA degrees. The graduate tuition/fees was taken from the most recent information offered by the National Center for Education Statistics (College Navigator). The programs on our list are ranked according to raw affordability. Below is our list of the 10 best ABA PhD degree programs of 2018. Columbia University’s PhD in ABA is top-ranked and accredited. The PhD in ABA at Columbia University is offered through the Teachers College – A Graduate School of Education, Health and Psychology. Students with a current master’s degree from another institution must take ten master’s level courses at Columbia since the core serves as preparation in completing the PhD requirements. Courses cover ABA, special education, and research components. In fact, research is the central component of the PhD training. As part of the ABA sequence, students take courses like applied behavior analysis and behavioral disorders, problems in special education, single-case experimental design in education, and supervision and administration of special education and human resources agencies through organizational behavior analysis. Columbia is a top ranked university. In fact, major publications like U.S. News and World Report rank the institution as the 5th best national university and 6th best value school. 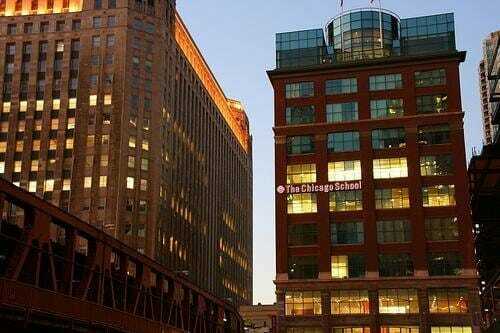 Chicago School of Professional Psychology is one of the few schools to offer an online PhD in ABA. One of the top ABA PhD programs on our list is the online PhD in applied behavior analysis offered at The Chicago School of Professional Psychology. The program is one of the few online ABA PhD degrees in the country that also meets the requirements for eligibility to become a Board Certified Behavior Analyst (BCBA) by the Behavior Analyst Certification Board (BACB). When enrolled full-time, students may complete the degree within three years (post-master) and five years (post-baccalaureate). Sample courses seen in the PhD program include critical analysis of research in verbal behavior, experimental analysis of behavior, and supervision and consulting in ABA. Simmons University’s PhD in Behavior Analysis is BCBA-accredited. 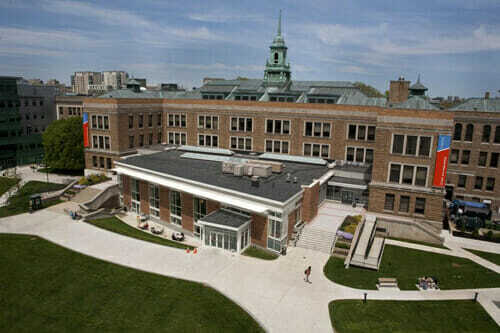 Simmons University, a premier private institution, offers ABA PhD programs, such as the PhD in Behavior Analysis. This 68-credit doctoral program is designed to train qualified behavior analysts to make significant impacts and contributions to science and the ABA community. PhD candidates must have a master’s degree or higher in a related program, offer evidence of a passing score on the BCBA exam, provide official GRE scores, and submit three letters of reference. Lecture courses consist of applied statistics analysis, behavioral medicine, diversity in education, organizational behavior management, and verbal behavior. A collaborative research project is also required. Simmons is ranked by U.S. News and World Report as the 14th best regional university in the North. The PhD in applied behavior analysis at Caldwell requires GRE scores and a solid GPA. While not an online PhD in applied behavior analysis, the PhD in ABA from Caldwell University is designed for professionals who want to continue working in the field while earning a doctoral degree. Admission requirements include a master’s in ABA or closely related field of study and BCBA certification, official transcripts with a minimum GPA of 3.6 in master’s level coursework, writing samples, and satisfactory scores on the GRE. Course requirements include behavior analysis and learning, ethics for behavior analysts, language and social skills for individuals with autism, research methods in applied behavior analysis, and survey of research methods and statistics. 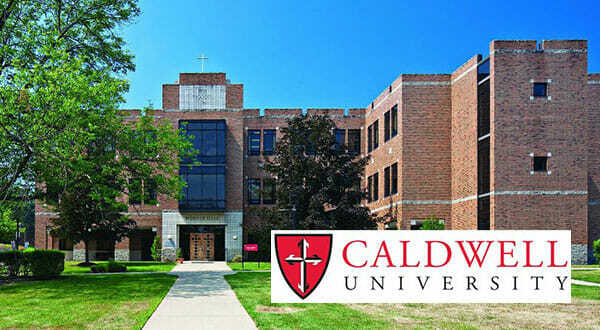 Caldwell is a top ranked institution. In fact, major publications like U.S. News and World Report rank the school as the 102nd best regional university in the North. Florida Tech’s PhD in Behavior Analysis program is for ABA professionals. Florida Institute of Technology does not offer an online PhD in applied behavior analysis but a traditional PhD in behavior analysis. While the classes are not delivered online, the program is designed for ABA professionals. Applicants to the program must hold a master’s or be close to completing a graduate degree in behavior analysis and have an undergraduate GPA of 3.0 and a graduate GPA of 3.6 or higher. Core courses required in the program include advanced organizational behavior management, applications of behavior analysis to college instruction, behavioral and functional assessment, ethical and professional standards in ABA, and verbal behavior. 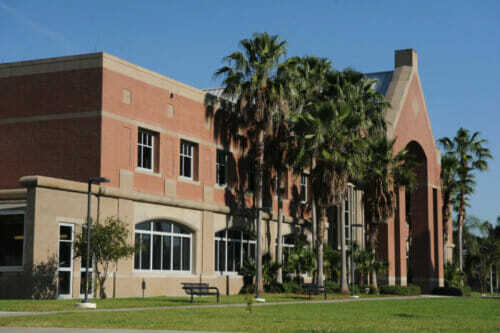 Florida Tech is ranked by major publications like U.S. News and World Report as the 151st best national university in the country. 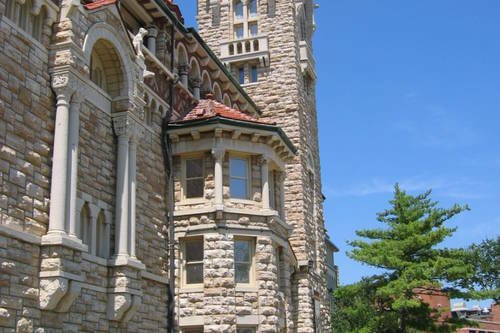 University of Kansas offers an ABAI-accredited ABA PhD. University of Kansas’ Department of Applied Behavioral Science offers one of the few ABAI-accredited PhD in ABA programs in the country. Students learn to discover, produce, and apply knowledge in the behavioral sciences through experimental methods and research. Course requirements include applied behavior analysis, conceptual foundations of applied behavioral science, legal and ethical issues in ABA, principles of behavior, and research methods. In addition to classes, students must also complete and defend research, prepare manuscripts for presentation and publication, and work with one advisor throughout the course of study. The institution is ranked by U.S. News and World Report as a top national university and the 89th best value school in the country. 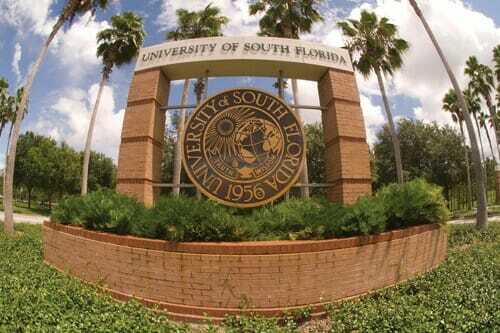 The PhD in applied behavior analysis at University of South Florida requires the GRE for admission. The PhD in ABA program at University of South Florida emphasizes the development of behavior analysts who are scientific practitioners. Students graduating from this doctoral program become prepared as researchers and contributors to the ABA community. To be admitted to the program, applicants must hold an accredited master’s degree with a minimum GPA of 3.5, score above the 40th percentile on the GRE, and provide three strong letters of recommendation. A series of courses are required. These courses include conceptual foundations of behavior analysis, experimental analysis of behavior, functional analysis, and statistical applications in transitional research and evaluation. Independent research and a dissertation are also required. ABAI-accredited. 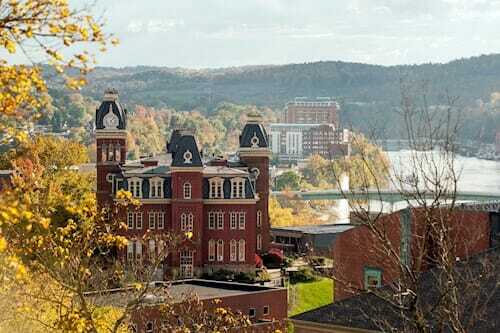 The PhD in applied behavior analysis at West Virginia University. One of the least expensive ABA PhD programs on our list is the PhD in Psychology with behavior analysis emphasis. According to the program website, the mission of the PhD is to produce individuals who can effectively function in academic or applied ABA settings. The highly specialized ABA emphasis is accredited at the doctoral level by the Behavior Analysis Accreditation Board–the accrediting body for the Association for Behavior Analysis International. A series of courses, along with independent study, research, and dissertation defense are required to satisfy the degree. Some of the courses offered include advanced experimental analysis of behavior, behavior theory and philosophy, human behavior, and research design and data analysis. The university is recognized by U.S. News and World Report as a top national institution and is ranked as the 99th top public school in the country. 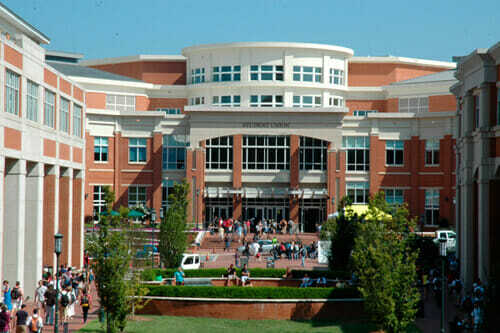 University of North Carolina offers a PhD in ABA that is approved by the BACB. The ABA PhD programs at University of North Carolina are approved by the Behavior Analyst Certification Board, Inc. Students are required to complete a series of graduate level courses, conduct independent research, and propose and defend a dissertation. Some of the required courses include advanced research practicum, advanced research methods, developmental psychology, personality and social psychology, and quantitative methods in psychology. To be admitted to the program, a bachelor’s degree from an accredited college or university is required, as well as satisfactory GRE test scores, three letters of recommendation from professionals in a psychology-related field, and a written statement. UNC Wilmington is ranked by major publications like U.S. News and World Report as the 14th best regional university in the South, the 6th top public school, and the 59th best value college. University of Nebraska offers the most affordable PhD in applied behavior analysis on our list. University of Nebraska’s PhD in ABA program is accredited by the Association for Behavior Analysis International (ABAI) and focuses on ABA for children, adolescents, and families. Application to the program requires students have a master’s degree from an accredited college or university and qualify to be credentialed as a board certified behavior analyst. Additional application materials include GRE test scores and three letters of recommendation. Program requirements include a series of courses like assessment and treatment of child psychopathology, experimental analysis of behavior, and verbal behavioral analysis. A practicum and dissertation must also be conducted. University of Nebraska is a top ranked public institution. U.S. News and World Report ranks the school as a leading national university. The school offers the #1 most affordable PhD in applied behavior analysis on our list. This concludes our list of the 10 best ABA PhD programs for 2018.